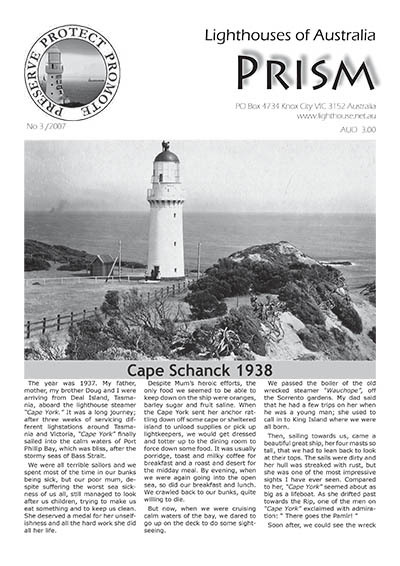 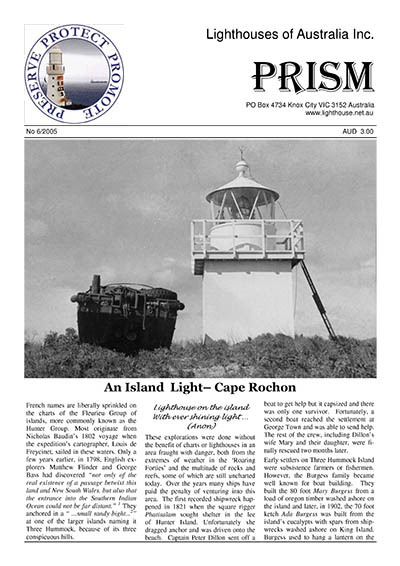 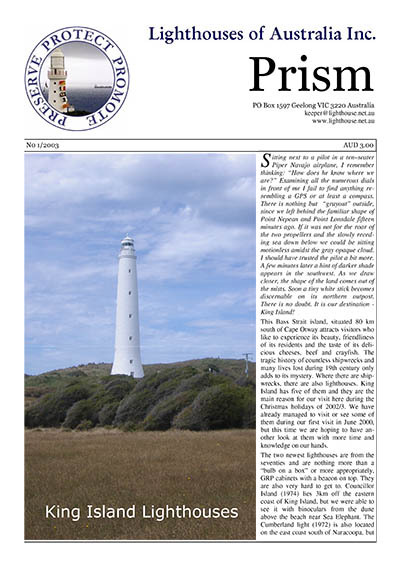 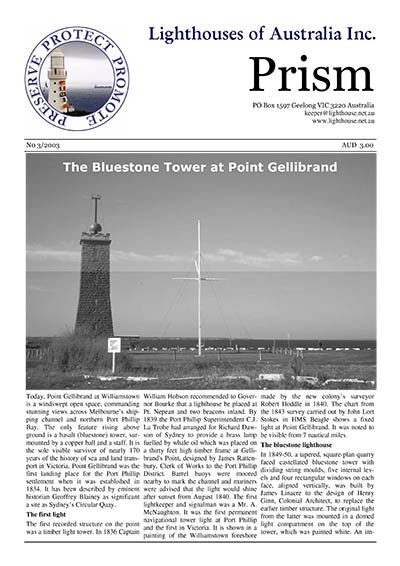 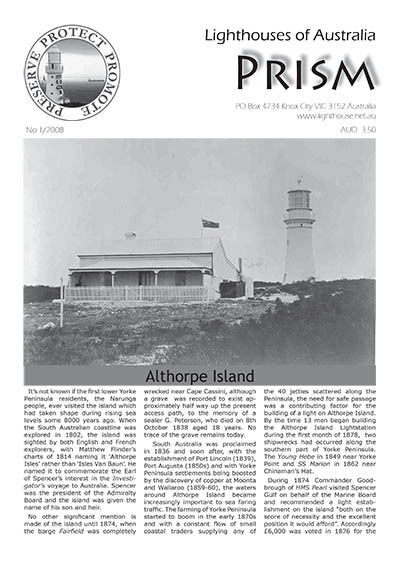 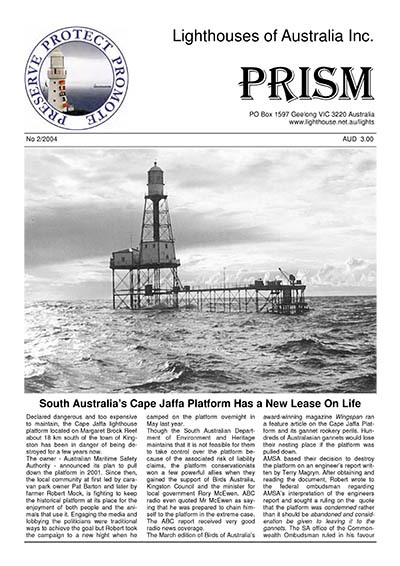 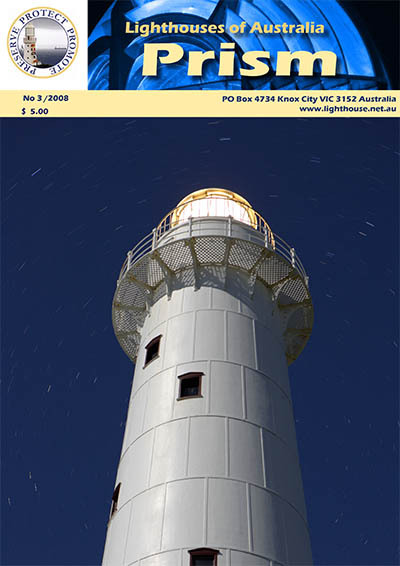 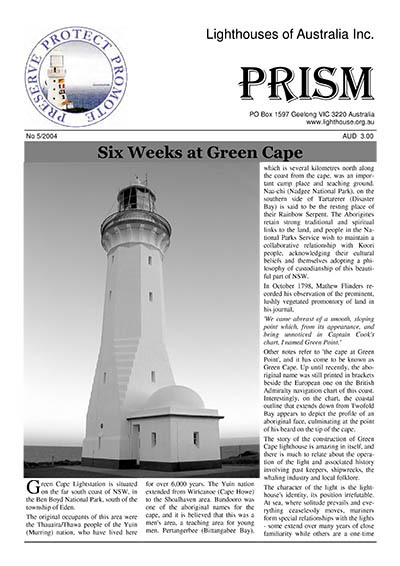 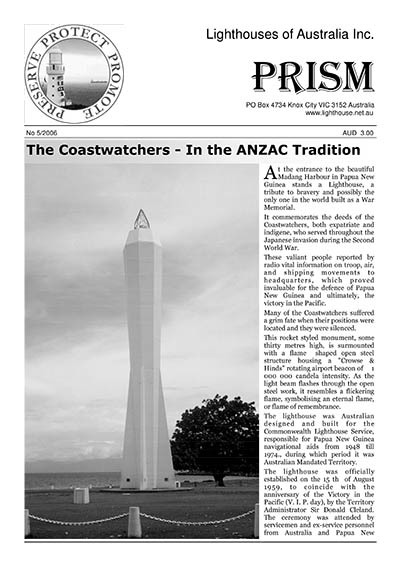 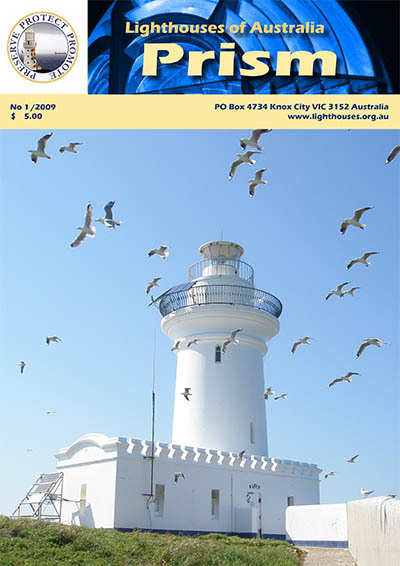 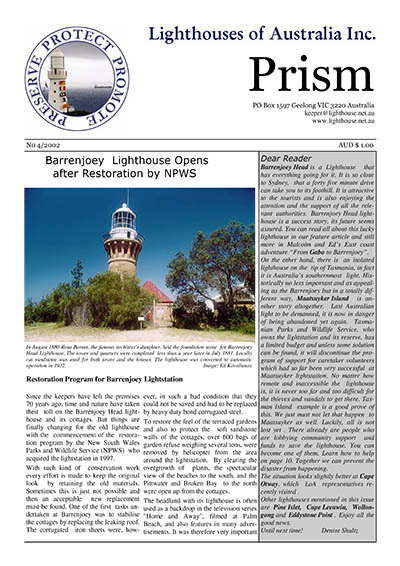 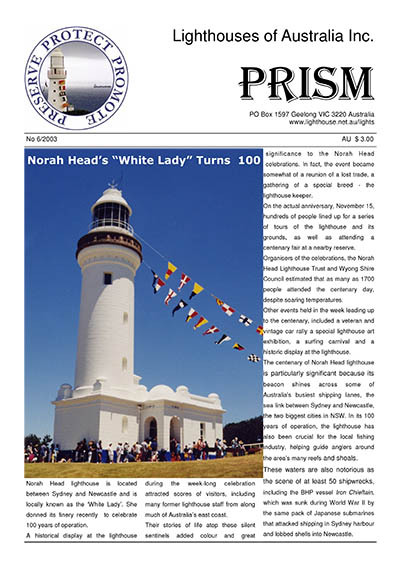 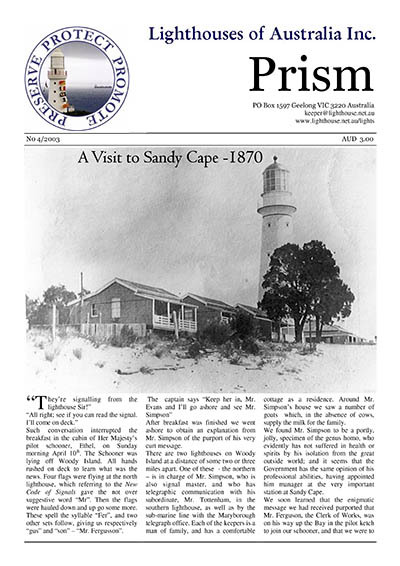 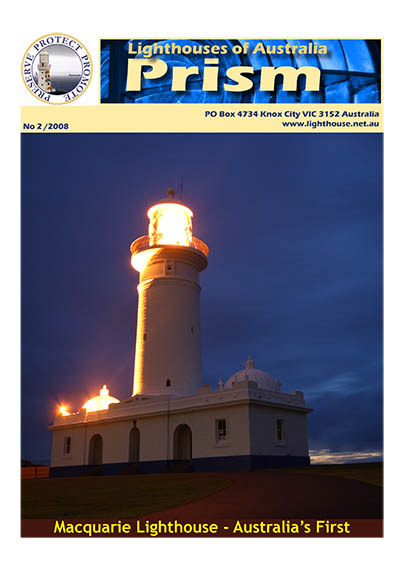 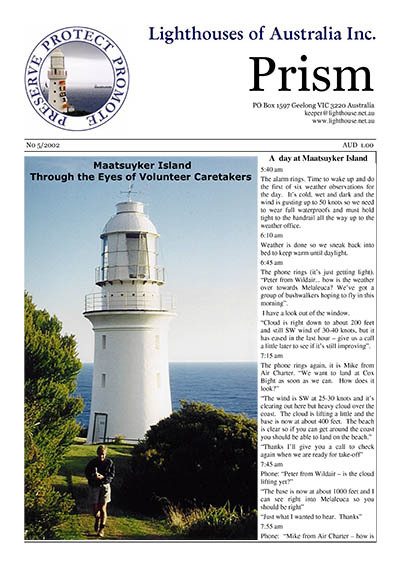 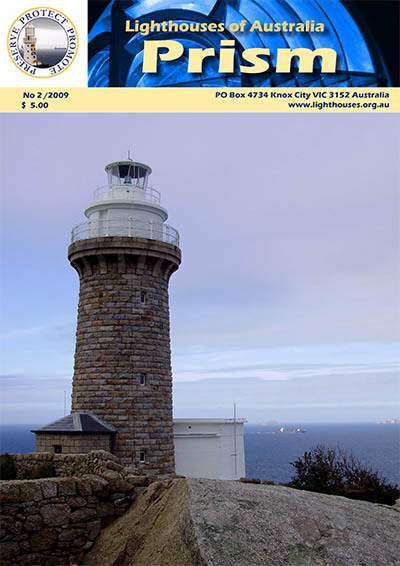 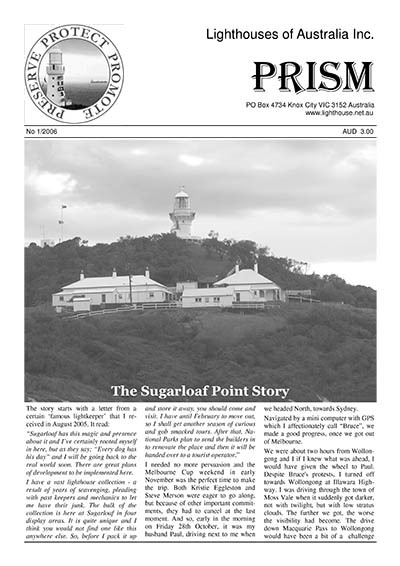 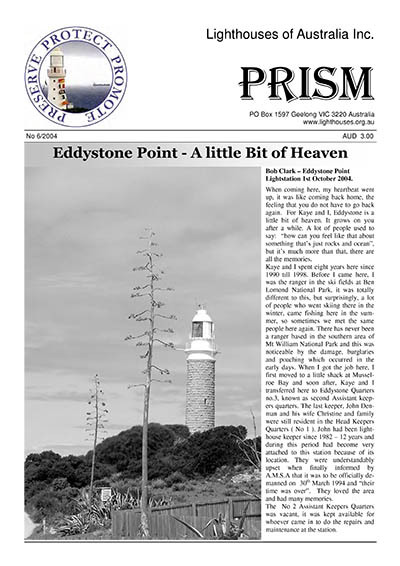 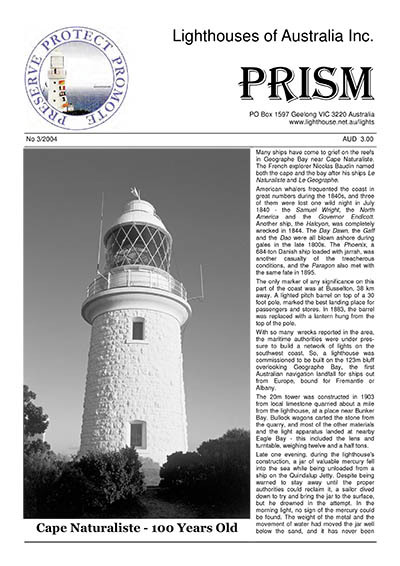 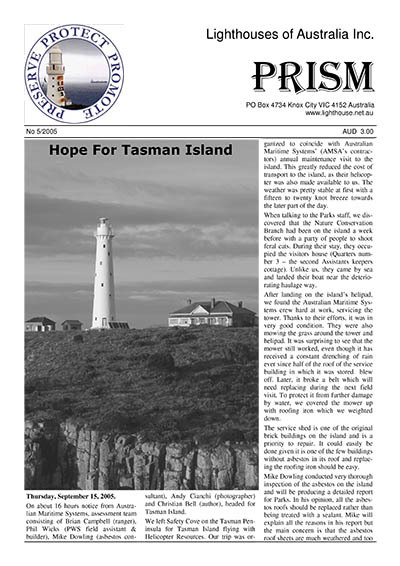 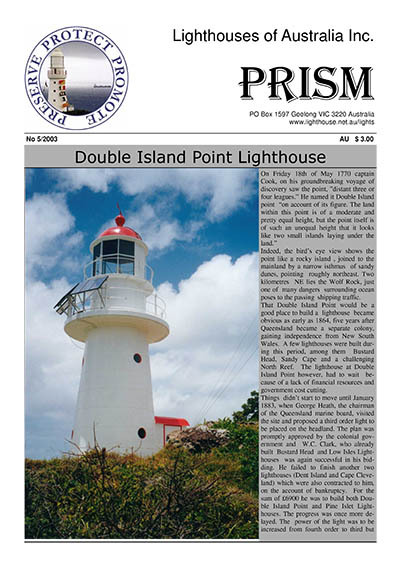 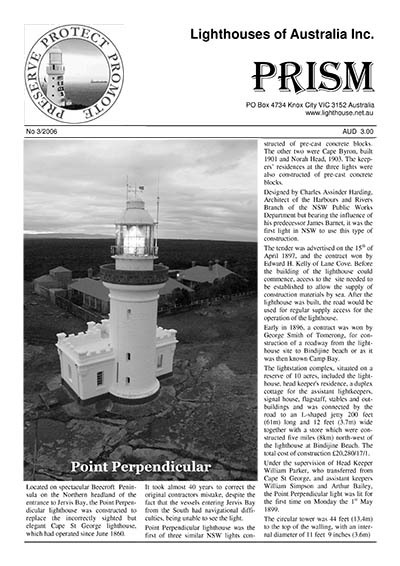 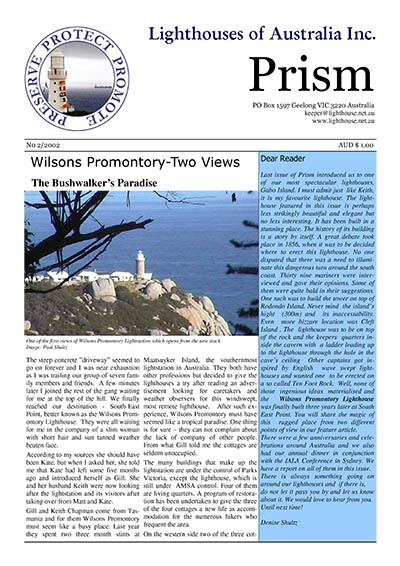 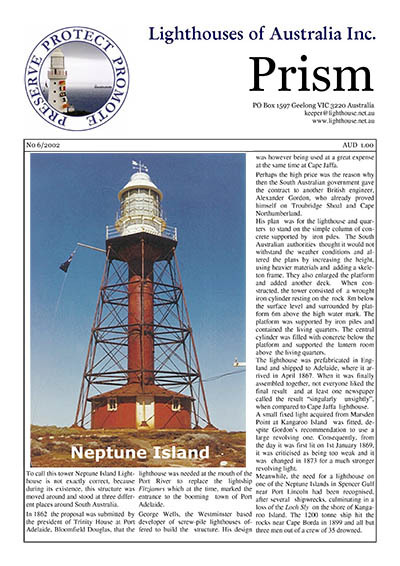 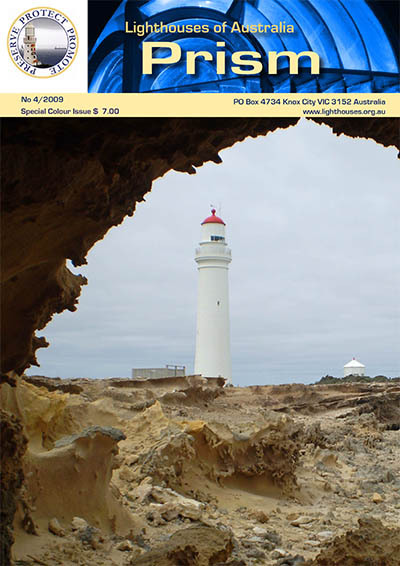 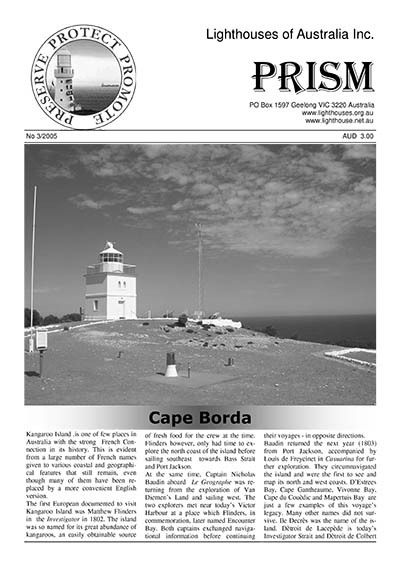 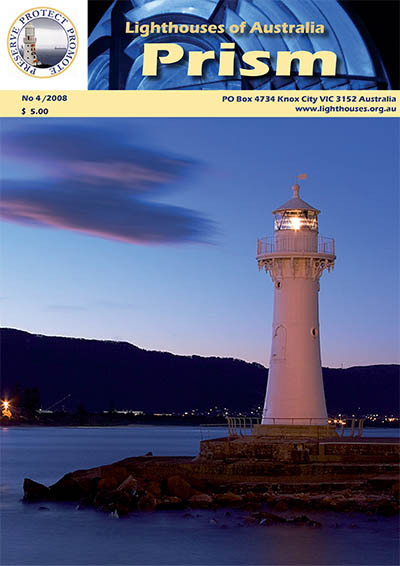 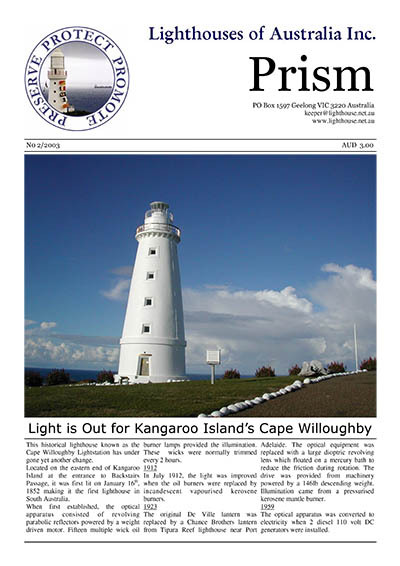 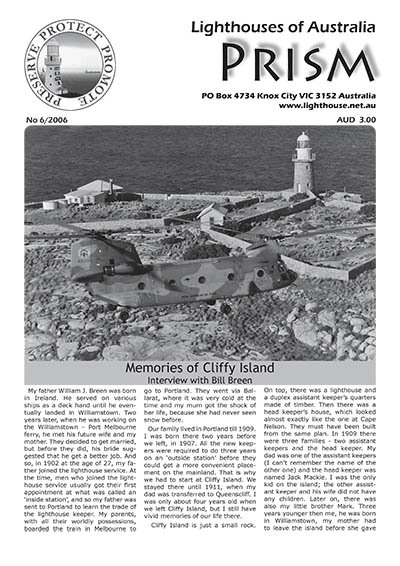 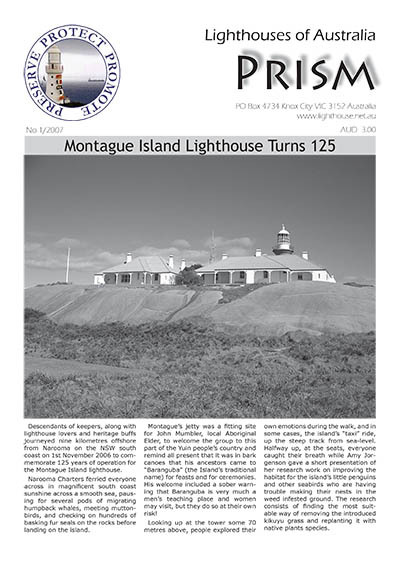 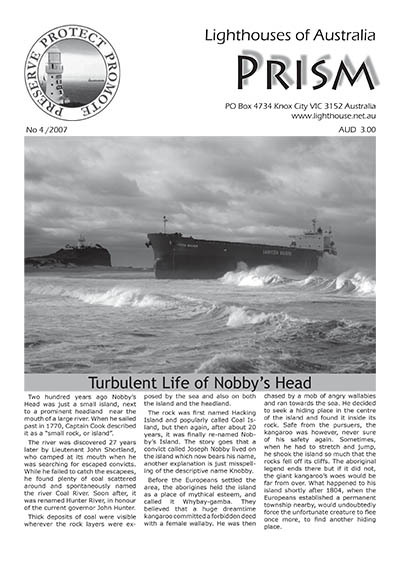 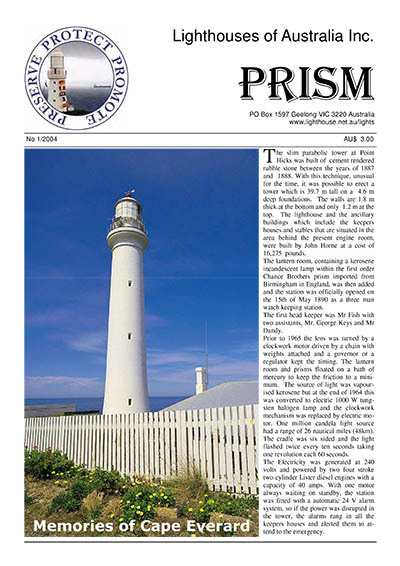 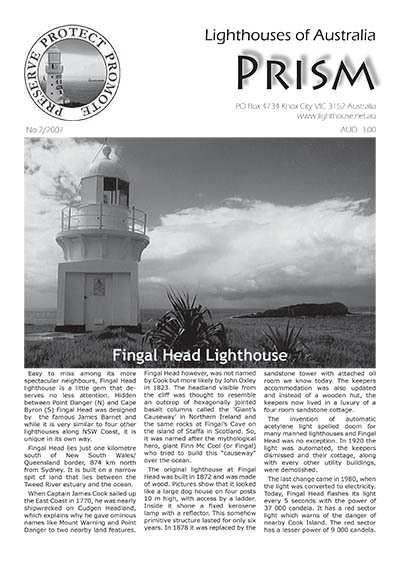 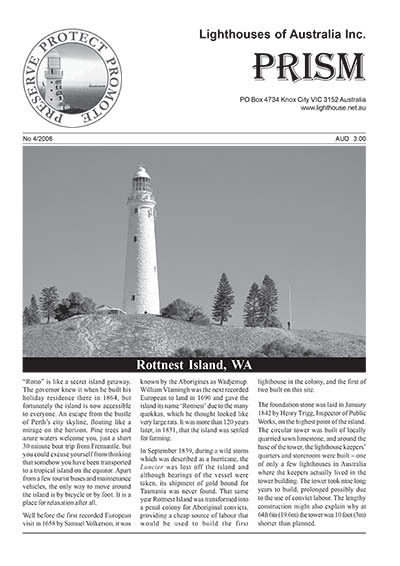 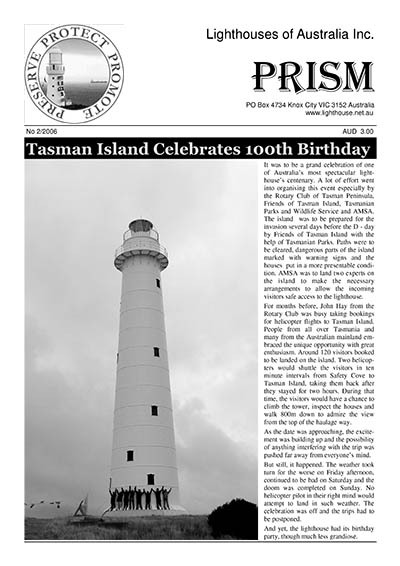 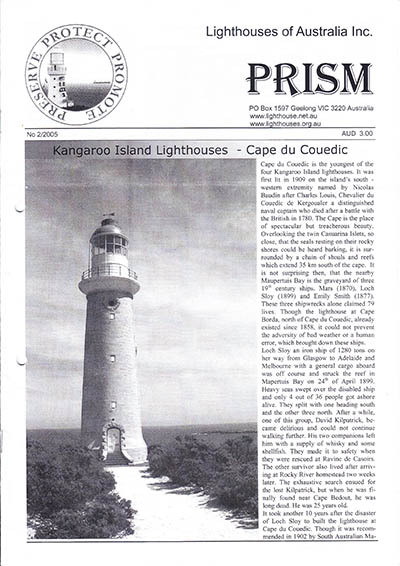 Prism Archive 2002-2009 | Lighthouses of Australia Inc. 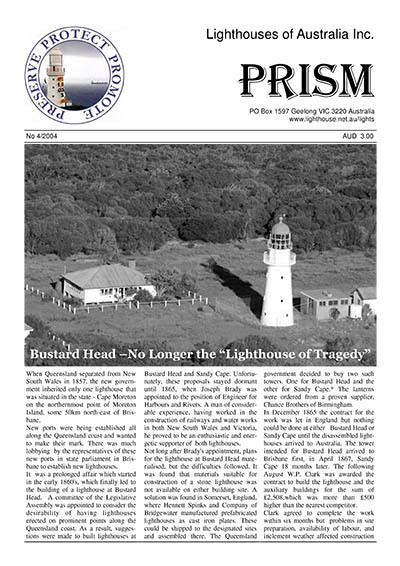 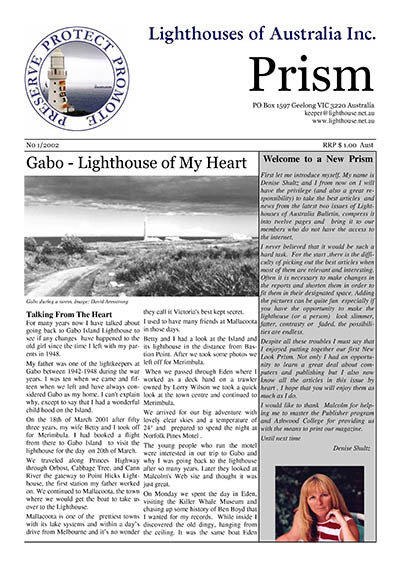 The Prism has been the magazine for LoA members since it was formed in 2002 and the first editor Denise Shultz filled that role for over 14 years. 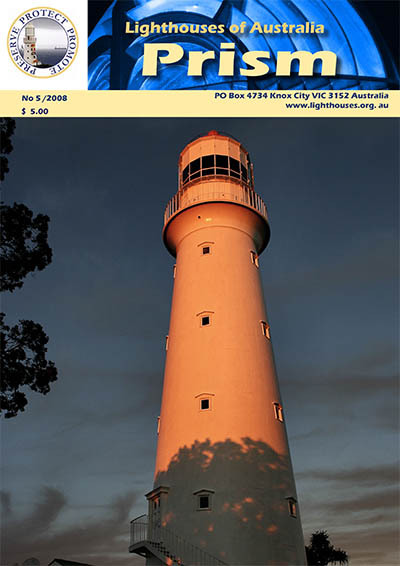 In 2016 Jessica Clifford took on the role and has continued the great service with a new fresh look in 2017. 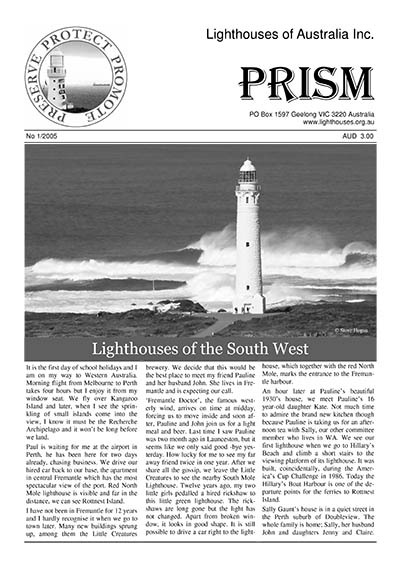 These archive copies of the Prism are available for download for members – click the appropriate year button to expand or collapse the listing. 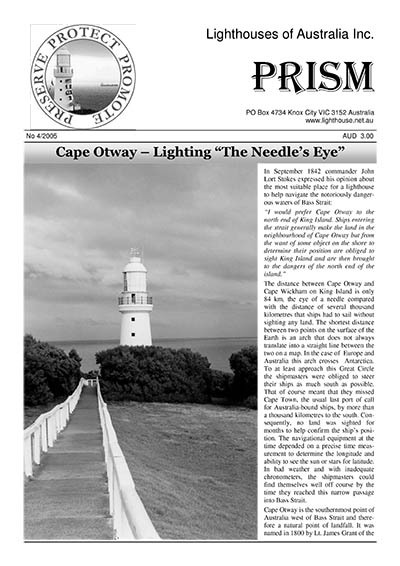 MV Cape Don on the Move? 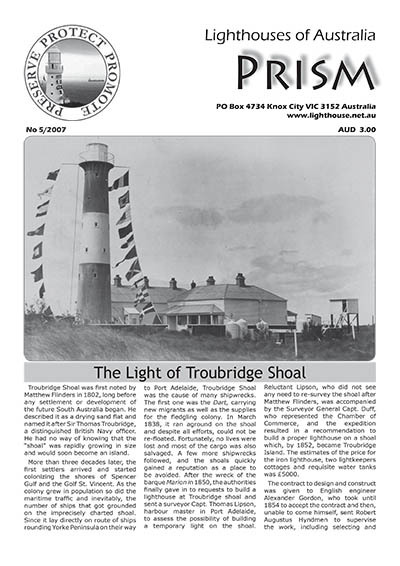 Troubridge Island Cottages to Go? 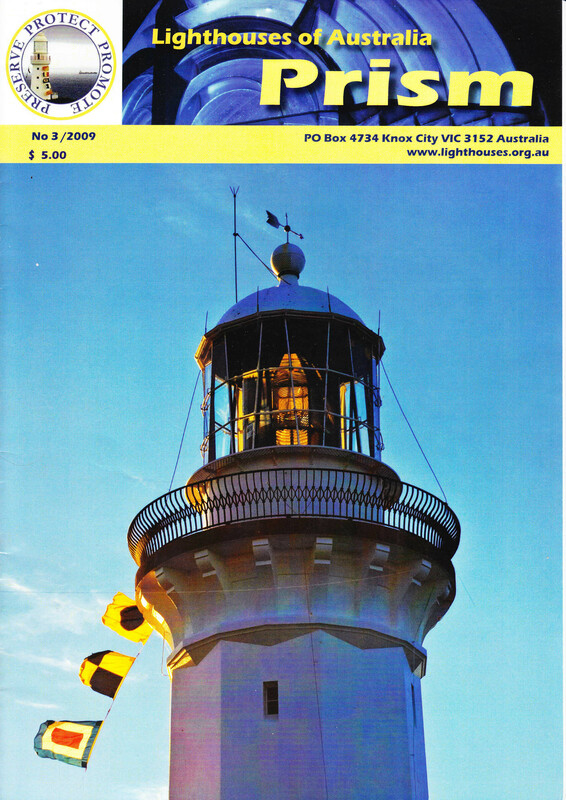 Bunbury Lighthouse A Mobile Phone Tower? 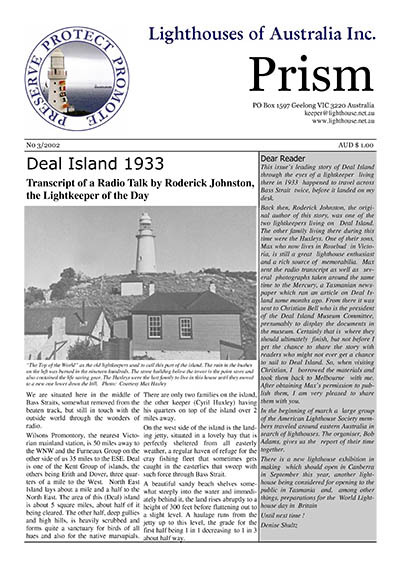 Who is Looking after Deal Island?